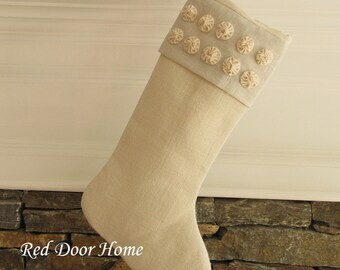 Add holiday cheer to your home with this simple and elegant stocking. Made of a white matelasse bedspread on the front and back. Fully lined with white linen and interlined. 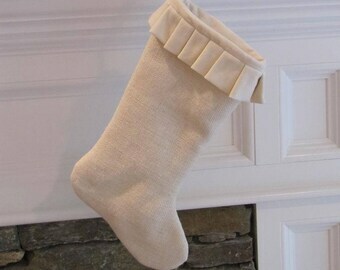 This stocking features two linen ruffles. 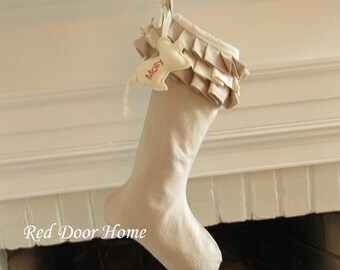 Each stocking in this collection is made from a white matelasse bed spread and can be hung facing right or left. Pattern placement will vary from stocking to stocking. 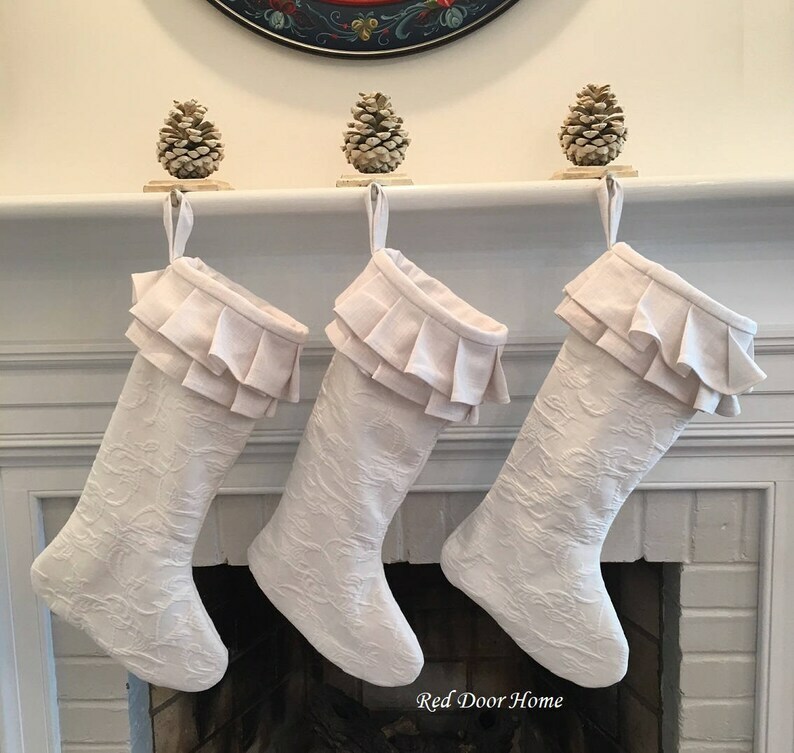 Looks great with my other white linen and chenille stockings in my shop. 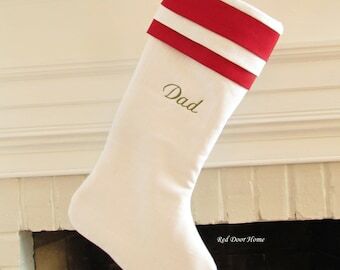 I have a limited number of these stockings. Once they are sold out I can not make more. 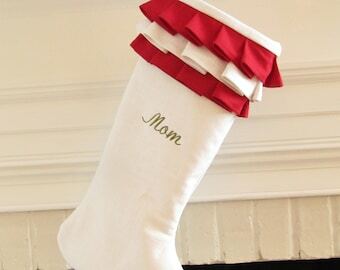 Listing is for one stocking only. 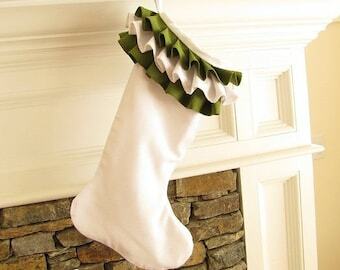 Dog stocking and white chenille stockings are available in my shop until sold out. This is a Red Door Home LLC design. You may not copy or reproduce it in any way. Copyright 2009-2018 Red Door Home LLC.